Once we get a new iPad or iPhone , our immediate focus turns to enjoying the diverse experiences provided by the Apps. A lot of effort is spent on learning new Tips and Tricks. Usually iPads are very stable and sturdy devices, but sometimes you get into issues that require getting in touch with Apple Support. It is important that you are able to locate the different attributes of your iDevice and provide the same to Apple so that they can effectively help you. Fortunately, there is a one stop place in iOS that can provide this information. We will look at some of these attributes and explain what these mean. Go the Home Screen of your iPad and Tap on Settings followed by General. Choose the first option on your screen labelled as “About”. 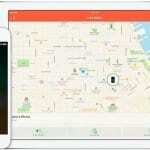 On clicking “About”, you will see a screen that highlights some of the important information related to your iPad. Let’s walk you through some of the important ones. #1. Model – This Field provides you with the Model number of your iDevice. Interestingly, it does not specify the common names such as ipad Air 3 or iphone 6S, but a code that Apple can easily understand. So for my iPhone 5, I see that the model number is “ME555LL/A”. If you look at the back of your device, you will also find a Model number . In my case on this device, I see that the Model number is listed as “A1532”. Well, which one is it? The Model numbers that you see on the back of the device are not unique to your device. 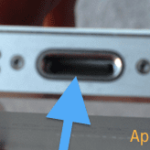 The Ios Model number along with the serial number in the “About” screen associates a unique identifier for your device. #2. Serial Number – This is the 12 digit combination of letters and numbers that helps in uniquely identifying your device. Be careful with your serial number, however, as it’s one of the numbers that uniquely identifies your device. 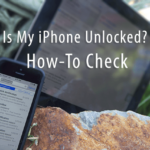 If you accidentally publish it or give it to the wrong person, it could be used to submit a false service claim with Apple, or used to fraudulently report the device as stolen. If you don’t have access to your iDevice, you can also locate the associated serial number by going to iTunes > Preferences > Devices. Click on one of the backups associated with your device. Hover your mouse or trackpad over the backup and within a moment you should see the serial number along with other information for the device. Two rows down from your Model and Serial number, you will see the Three Amigos. These are IMEI, ICCID & MEID. Ever wonder what these funny looking acronyms mean? IMEI Stands for International Mobile Station Equipment Identity, and the number is used to identify each mobile phone. The IMEI number is used by your carrier to match the phone to the networks, so it can figure out who is making calls. It is also used to maintain a blacklist of stolen mobile phones. In the UK a database is publicly maintained by a charity so stolen phones cannot be moved from one network to another. ICCID (Integrated Circuit Card Identifier) – A SIM card contains its unique serial number (ICCID). ICCIDs are stored in the SIM cards and are also printed on the SIM card during a personalization process. All cell phones sold in the U.S.A. are required by the F.C.C. to be assigned a unique identifying number. These are the MEID numbers and IMEI numbers. In order to activate a cell phone on a service plan, you need to provide your phone’s IMEI/MEID number. This is a number that you do not see represented in the Settings > General > About section in your device unlike the Three amigos that we discussed earlier. . This is a 40 charcater string of numbers and characters. you’ll need your iPhone’s UDID if you are trying to review a new app that has yet to be released. With a relevant UDID, a developer can register your device and give it access to non-official (non-App-Store-vetted) software. This is commonly used to let reviewers try out apps before they make it on to the App Store. 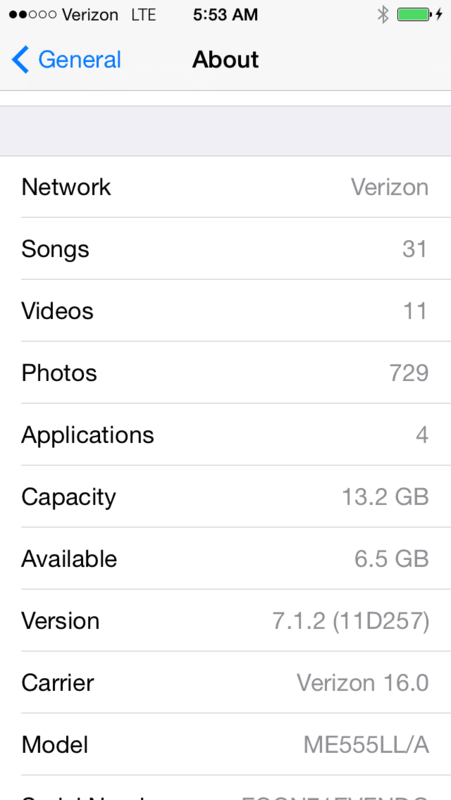 You can find the UUID number for your device in your iTunes settings. Click on the Serial Number and it will toggle and give you the UUID. It is best to not share this number with anybody that you do not trust. The Wi-fi Address and the Bluetooth Field provide with the information for your network. Your Carrier related information is presented in the fields “Carrier” and “Network”. If you are on a Verizon plan for example, this fields will show as Verizon. 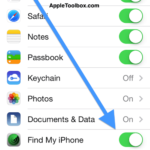 Carrier settings updates are small files that can include updates from Apple and your carrier to carrier-related settings, such as network, calling, cellular data, messaging, personal hotspot, and voicemail settings. You may receive notifications from time to time to install new carrier-settings updates. 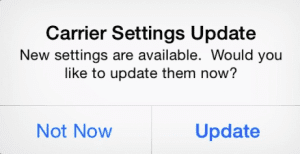 You may sometimes see updates from your carrier with a pop-up message. This is an important field as it shows the I OS version that you are using on your device. When troubleshooting software related issues, it is important to know which version of I OS your device is running on. 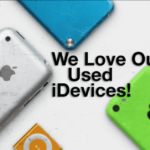 Please let us know if we missed any basic information around the attributes of the iDevice. My iPhone 7 is activated and FMI is off. 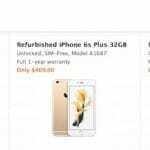 This iPhone my little brother buy for his fiancé–now they break up already then. My brother then sells the iPhone to me but after the update to iOS 12, the screen says my iPhone lost and erase. It sounds like the iPhone is still a registered device under your brother’s fiance. 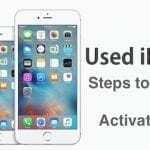 Try to remove the Apple ID from the iPhone and then re-activate it on your network. 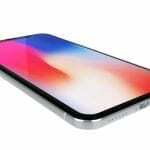 If that doesn’t work, your brother, as the original purchaser of the iPhone, can contact Apple Support in your home country and with this proof of purchase, have them assist in getting the iPhone working for you. Dumb. UUID and UDID is not the same thing.